MANILA - Singer Leah Navarro on Tuesday said those who leaked and shared the viral explicit video of Jim Paredes should be charged for violating his data privacy. In a tweet, Navarro said sharing the video was a "criminal" act. 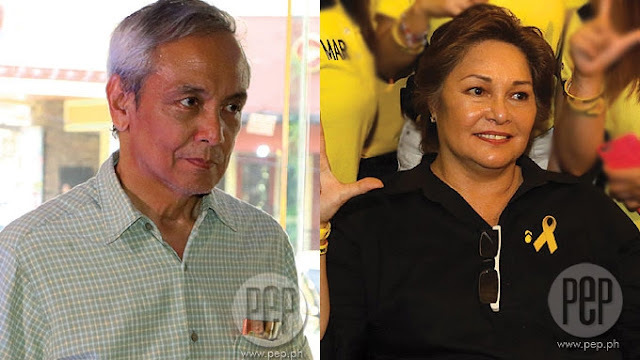 "Laughing at my friend Jim Paredes and his predicament doesn’t make you, video thieves and sharers, any better than him," she said. "The lengths you went through to reveal his private data are CRIMINAL and you should be charged. You violated his privacy. Karma boomerangs big time." Paredes earlier confirmed the authenticity of the video, which he initially said was "fake," saying it was not meant for public consumption. "There are already too many lies and liars in this world. I do not wish to be a part of that cabal. I have chosen to be truthful because I know that painful as the truth can be, it will eventually set me free," he said. The 67-year-old musician suspects the incident as politically motivated. "I can only surmise that in this ugly season of toxic politics, muckrakers determined to neutralize my influence by violating my privacy and digging up dirt on me are at work," he said.